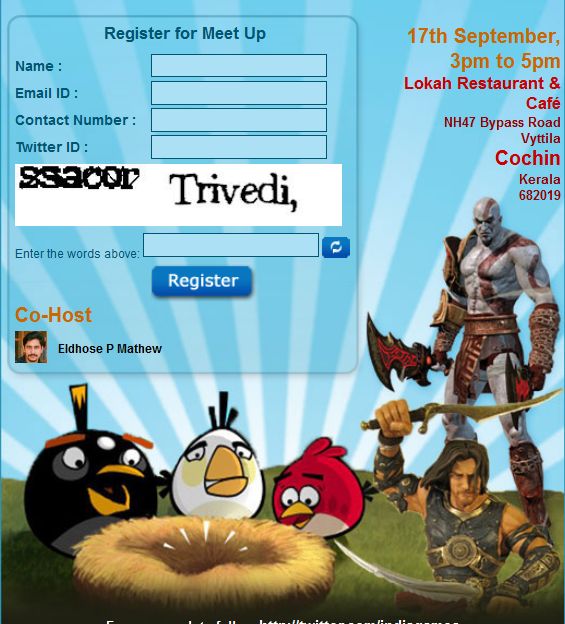 If you are a gaming freak who plays games on console, mobile, online or elsewhere, Indiagames along with Csharks is organizing a meet-up especially for you gamers. The purpose of this meet-up is to discuss, how to make gamers unite and involve them for the betterment of games. This is also an initiative to spread awareness in the rest of the world that there are serious gamers in India too and it is high time to parents, friends and others to take gamers seriously. In order to attract more gamers, Indiagames and Csharks would be giving merchandises and exclusive entry to unreleased games to the gamers who would come for the meet-up. This event will take place at Kochi on 17th September between 3 pm to 5 pm. Venue: Lokah Restaurant & Cafe, NH 47 Bypass Road Vytilla, Cochin.